Living in a glass house? Don't throw one stone but two. I value my powers of discernment and judgment. I don't worship them, but I'm grateful for them and therefore work to maintain and refine them. There's been a rumor on the psych circuit that one shouldn't be judgmental, disingenuous and paradoxical advice since the rumor is itself a judgment that one shouldn't do something. I think judgment is inescapable and so it's best to hone it rather than disavow it disingenuously. I aim to be a discerning weasel-connoisseur able to identify and judge even the subtlest weasel. Like everyone I live in a glass house, and according to other rumors on the psych circuit, I shouldn't throw stones, not advice I am willing to take since I both express and hone my judgment through the trial and error process of giving and taking feedback. Besides, giving feedback and throwing stones are not the same thing. The advice not to throw stones is suspiciously redundant, advice as tautological as "don't do bad things," when bad things are by definition what you shouldn't do. Instead of not throwing stones, I try to throw stones in pairs. 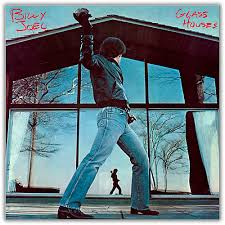 For every one I throw at someone else's glass house, I try to throw one at the equivalent place on my house. For example, when I criticize someone else's approach I try to find an analog to their approach in my approach. Likewise, when I get angry at someone's bad behavior I try to temper my temper with recollections of my comparably bad behavior. By throwing stones at my own house, I discover the weaker windows, places where there's room for improvement and therefore where I need to do some home repair and remodeling. Throwing stones at other people's glass houses, I express the value I place on my fallible yet evolving, improvable and improving powers of judgment. By pairing the stones aimed at their houses with stones aimed at mine, I actively devalue my natural, inevitable but limiting and limitable self-serving double standards. At least that's the goal, my formula for speaking my mind not obnoxiously. All formulas can be corrupted through compliance with the letter but not the spirit. My formula is no exception so it's worth inventorying some of the more obvious circumnavigations around the spirit of the formula. Here are two. No doubt there are more. "You're a grotesquely inconsiderate. Of course, I make mistakes too and am humble enough to admit it. Why once I tipped only 14% by mistake." "You're grotesquely inconsiderate by my standards and before you get a chance to impose the same standards on me, let me render your retaliation moot by telling you that I already know all of my flaws so don't even bother." Out-maneuvering one's inner weasel is hard work, requiring vigilance because one's inner-weasel offers to take over, saying "leave the vigilance to me," the inner-weasel guarding against inner-weasel encroachment, the fox watching the hen house. Acknowledging similar failings subdues unjustifiable righteous indignation. It makes feedback to others easier for them to hear because it peels off the condescension. It makes the flaws less about personalities and more about temptations and tendencies to which we are all prone. It demonstrates fair-minded receptivity to feedback from others. Since we often disguise our appetite for holier than thou oneupsmanship with the rationale that we are only interested in maintaining high standards, it forces us to live up to what otherwise is just rationale. Every formula has its counter-formula that can be abused too. I'm watching for that also. I get a taste of that when I talk about extremist rhetoric from one political party and it's over-eager defenders snap back at me that the other political party uses rhetoric too. Yes, indeed we all do and I can cite chapter and verse about the other party's rhetoric, but that doesn't obviate questions of degree. To take an unrelated extreme example a mass murderer cannot justify his murder spree by pointing out that those who judge him squash bugs and eat chicken. It's a distorted version of fairness that assumes that all responsibility for all problems must ultimately be evenly shared. We must keep alive the question of sources of fault and blame. I'm just saying that with my formula I'm likely to do a better job of dealing with such questions, and doing a better job of it is very important in these tough times, when striking the right balance on the tough questions of blame and responsibility is that much more important to our well-being and even survival, and when in our reaction to the tough times tempers tend to flair un-tempered. From glass houses one shouldn't throw stone? How else can my standards be shown? Holding me to my standards helps hone. Newer PostDoes God care who wins the Super Bowl?